The Tigers have made a mixed start to the latest round as the run to finals begins. First grade took eight wickets during a difficult opening day against Northern Suburbs on Peter Burge Oval. James Bazley (4/90) and Josh Arnold (2/38) made some key breakthroughs but couldn’t prevent the visitors from piling on 432 runs. With two wickets still required next weekend, the Tigers will be chasing a big score for first innings points, particularly if a declaration is not forthcoming. 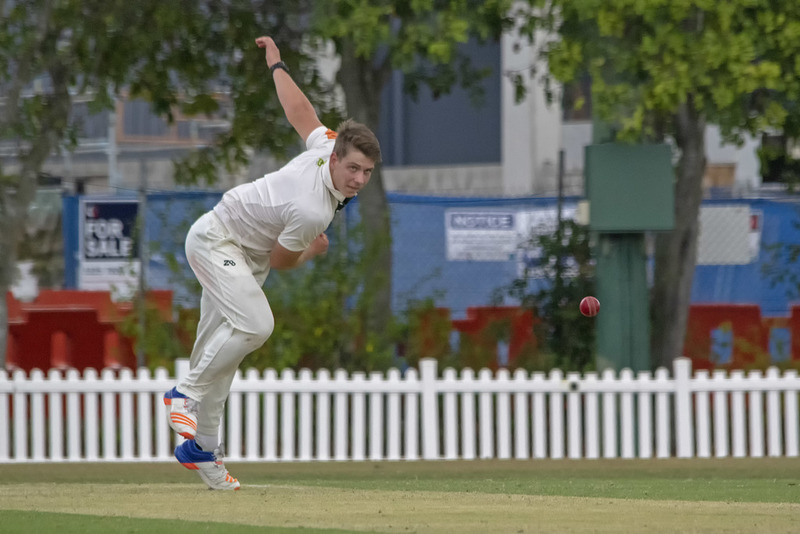 Second grade made a dream start to their clash with Northern Suburbs away from home, dismissing both openers for naught through the bowling of debutant Klinton Goodridge and stalwart Craig Weier. The Tigers picked up another wicket early on in the piece before a few middle order partnerships got the innings back on track for the home side. Slow run scoring ensued thereafter as Norths limped to 9/281 at stumps. Craig Weier (3/62), Klinton Goodridge (2/55) and Josh Fraser (2/53) currently lead the wicket takers’ column. Fourth grade got off to a flyer after they were sent into bat first before a middle order collapse saw them fall for just 137. In reply the Tigers have the opposition 3 down for 80, with Alex Ward’s two wickets and Damyn Waddups 46 the difference at this stage of the game. Fifth grade require 195 runs for victory next weekend following a successful day in the field. Wickets were shared between Chris Baker (4/27), Rob Ballarino (3/77), and Matt Short (2/22). Sixth grade one dismissed Northern Suburbs for 115 inside 60 overs and are already within 62 runs of first innings points at stumps on day one. The Tigers spin bowlers dominated this clash, with Ben Lockwood and Keshavkeerthi Chandrasekaran claiming three wickets apiece. Sixth grade two had a mixed day against ladder leaders Valley one on Ron Field Oval. The Tigers picked up wickets at regular intervals but couldn’t prevent the opposition from posting a competitive 248 inside 70 overs. Jacob Dunne led the way with the ball to claim 3/46, and was ably assisted by Scotty Jackson (2/11) and Wes Aspeling (2/29). At stumps Redlands are 0/22, with openers Andrew Hardy and Jay Kildey currently unbeaten. The Redlands Tigers B1 side gained first innings points on day one, dismissing Nundah for 108. In reply Tigers are 2 down for 114, with Will Read and Carter Pearson currently unbeaten on 84 and 25 respectively. Carter Pearson also did the damage with the ball, claiming three wickets alongside Jason Lau (2/10) and Tom Martin (2/0). The Redlands Tigers ladies comfortably defeated South Brisbane away from home. The Tigers dismissed the home side for just 47 inside 25 overs through the bowling of Jess Sanders (4/9) and Anureet Kanda (2/9), before knocking the runs off in the 13th over of their innings.